Seamlessly launch a subscription service today, with all the tools and tech you need to grow a sustainable business. You focus on the content, we take care of everything else. Our technology grows with you, whether you’re ready to launch or already at 1M+ subscribers. 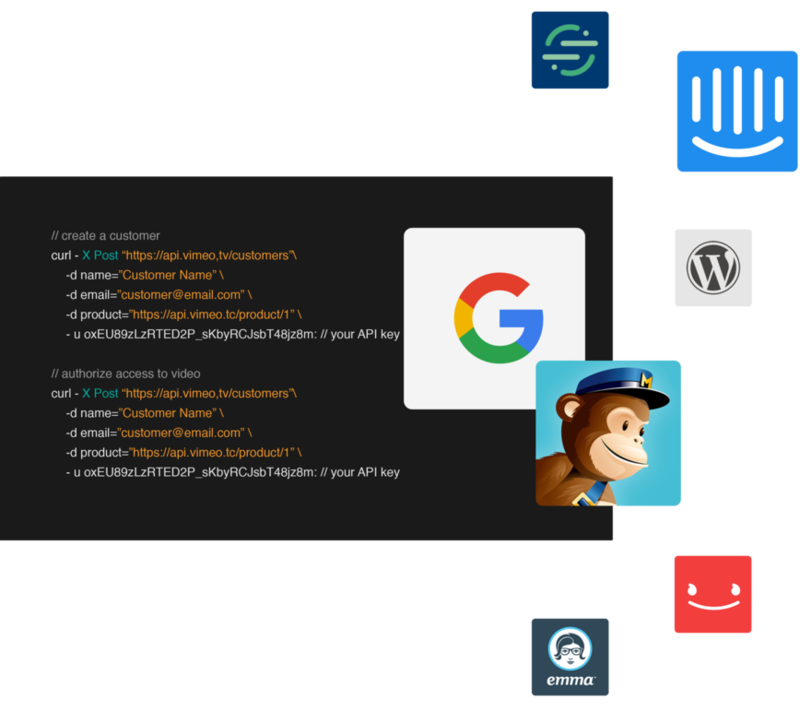 Integrate with third-party apps, or use the developer-friendly API to build a 100% custom video experience. "We love that Vimeo can support almost any pricing model, plus a fully featured API that we use to get creative with our content delivery." Your videos look pristine everywhere, with powerful CDNs that deliver adaptive streaming to customers. Securely accept credit cards and in-app subscriptions, so customers can subscribe on any device. Deliver video on all major platforms. Your service matches your brand, wherever viewers are watching. Get full access to customer data, with insights to help manage churn and grow your business. Ensure around-the-clock support for your viewers. Vimeo takes care of them (and you) 24/7. Manage your growing video library, from ingestion and transcoding, to detailed metadata. Easily move your existing service, videos, and customer data with Vimeo’s advanced account support. Test monetization strategies like ads and transactional sales, or implement digital rights management (DRM). MHz wanted to expand their reach beyond broadcast TV, so they used Vimeo to bring over 2000 hours of programming to their own online subscription service. By launching a Vimeo-powered subscription service and suite of branded apps, Adriene Mishler grew her yoga classes into a thriving business. 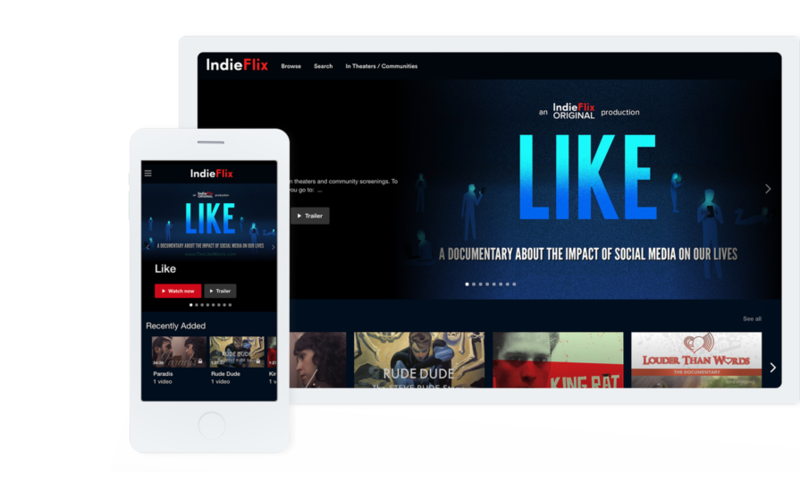 IndieFlix chose Vimeo as a technology partner to distribute their 5,000+ social impact films and series across mobile, TV, and the web. Drop us a line for a custom plan, and our team will get back to you. Or learn more about our features and find the right plan for you. Join over 90M+ creators and brands who trust Vimeo with their videos.